Please note that under the age of 15, can not use it. Please select a dedicated option. Miyadoll products are made to order. We start making dolls after customers complete their payment. Purchases are non-refundable once we begin production. Customers can pay for their order in three days. After three days from the order, the order will be canceled automatically. -If customers do not choose skin color, skin color will be "normal" automatically. -cream white, normal, and white is basic price. There will be additional cost for Milktea(tan). - Miyadoll's products are made to order. -It's non-refundable after payment due to made to order system. Please make your order carefully. But Special skin color takes about 10 days if more, add 2~3 more weeks. -additional makeup and body coloring will add 2~3 more weeks. -color of our products can look different according to different monitor settings. -wig, makeup, clothes, shoes and accessaries are not included. -eyes will be delivered randomly. To avoid risk of breakage, eyes will be shipped separately from a head. -Because makeup process is done manually, there might be differences between each dolls. -dolls might take on dark color when put on dark colored clothes for a while. - according to demand and supply situation, fabric and subsidiary materials can be changed without notice. 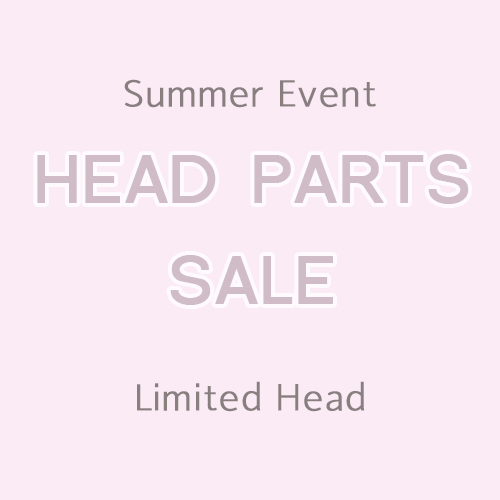 -MIYADOLL does not offer aesth(remove the parting line) service. The work of tan skin color is very hard and takes a long time than light skin(Creamwhite, White, Normal). There is no review article. There is no Q&A article.